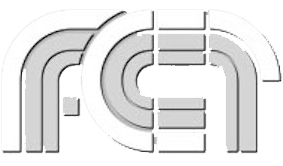 FCIT’s Lit2Go audiobook website contains an amazing number of books and passages at all reading levels. The variety of recordings and the possibilities for using them can be a bit overwhelming, so we’d like to share some suggestions for finding the appropriate recordings and using them effectively in your classroom. Select by Readability Level From the Lit2Go homepage select the “Readability” option and then select the reading level you are interested in, keeping in mind that students will be able to comprehend appropriate audio passages above their reading level. One should also keep in mind that Flesch-Kincaid readability levels are merely a starting point. You’ll want to also explore available passages at adjoining grade levels. Select by Collection If you’re looking for recordings about a particular theme, the “Collections” option may be best for you. Here you will find books and passages around such themes as spring, winter, princesses, the Civil War, or monstrous creatures. Search by Author This option will quickly take you to all the passages by a designated author. You might, for example, view all the works by Aesop, L. Frank Baum, Lewis Carroll, Charles Dickens, Paul Laurence Dunbar, Edgar Allan Poe, Beatrix Potter, Harriet Beecher Stowe, or William Shakespeare. Select by Genre Use this selection to locate all the works in a particular genre such as adventure, fairy tale, historical fiction, memoir, nursery rhyme, poetry, or science fiction. Search by Book Obviously, if you know the title of the book you want, this is the place to start. While the typical audiobook is simply an audio file, Lit2Go offers as many as four items for each passage. First, of course is the audio file. You can play this online or download it to an MP3 player. Secondly, the passage appears on a webpage so students can read along or you can copy and paste the text into other applications. Thirdly, most of the passages also have a PDF version formatted for printing. Finally, many of the passages also have a simple activity sheet for students. The variety of formats gives teachers great flexibility in how the passages are used. We’ve collected a few ideas to get you started. Introduce a chapter book. Try playing one chapter of a book students are going to read as a teaser to get them interested in the book. Send home an audiobook and print combo. Print out the PDF of a passage and send it home with students to use with a family member. This will allow parents or guardians who are not fluent in English to participate in a reading activity with their children. It may also be a small step toward adult literacy for some parents. Summer e-reading playlist. In addition to the typical print book reading list, try also sending home a playlist of titles for summer listening. Might make great in-car listening during summer vacation trips. Add a listening time to the school day. Depending on the class schedule, perhaps ten minutes each day after recess or before lunch could be scheduled as a class listening time. Even once a week—perhaps Friday afternoon—could be a welcome and anticipated time to gather as a class and listen to an engaging story. 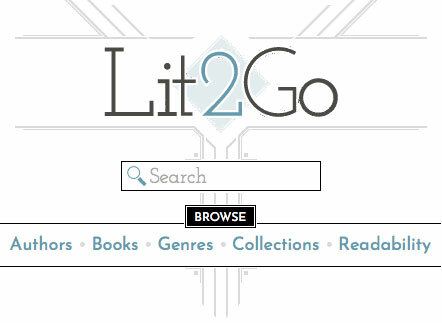 Remember, Lit2Go includes everything from minute-long poems to complete novels. There’s something for any time allotment. Find listening time in other subject areas. Try to find passages that support and enrich other curriculum areas such as Social Studies. Taking time, for example, to listen to Emily Holder’s journal At the Dry Tortugas During the War can add an extra dimension to a study of the Civil War. Kirk Munroe’s stories are historical fiction, but include great description of Florida by an author who knew the landscape well. And of course presidential addresses and speeches capture the political situation of the country at the time. Washington’s Farewell Address and Lincoln’s Second Inaugural Address are two of the more popular Lit2Go passages used in American History classes. Fluency check. Allow students to listen to a short Lit2Go passage, perhaps a poem. Then let them record themselves reading the same passage. Have them review both recordings to see what the differences are. Students can re-record themselves until they are satisfied that they are reading the passage aloud with the desired expression and fluency. Multitasking opportunities. Are there times during the week when students are doing things that don’t require their full attention? Maybe cleaning their desks, doing classroom chores, or working on a repetitive craft project. Try combining listening to an audiobook with these activities. Home- or hospital-bound students. If students are out of school for a period of time, try sending them audiofiles of books being read in class during their absence. Listening centers. Many of the Lit2Go passages include related activity sheets. Set up a listening center where students can listen to the passage and then complete the activity sheet. Create listening centers with headphones and a computer, laptop, tablet, or any type of MP3 player. Include more students in book clubs. You have students who would enjoy the critical thinking exercise of participating in a book club, but do not have the decoding skills to keep up with the reading assignments. Try allowing those students to listen to the passages and then participate in book club discussions with the other students who have read the passages. Differentiate instruction. 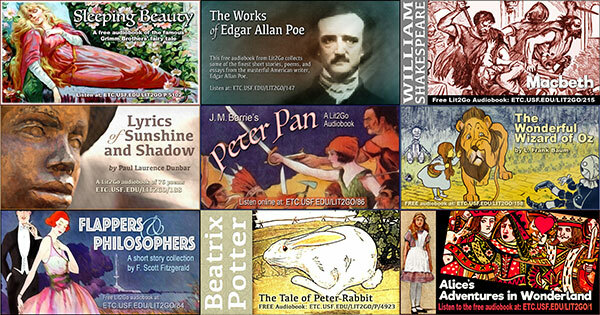 With the free Lit2Go collection, you aren’t limited to the set audiobooks that may be available in your curriculum. You can select audiobooks to match the comprehension level and interests of each student. Compare and contrast reading and listening to the same passage. Since each Lit2Go passage is available both as text on the web page and as audio it’s easy to create experiences for students to meet a literacy standard such as: Compare and contrast the experience of reading a story, drama, or poem to listening to or viewing an audio, video, or live version of the text, including contrasting what they “see” and “hear” when reading the text to what they perceive when they listen or watch. Serving students with special needs. Lit2Go can be used to accommodate students with a visual impairment, those with learning delays, English language learners, or others who require additional support. Listening during choice time. If you include a “choice time” in your weekly classroom schedule, try including audiobook listening as one of the options for students. Students especially enjoy the opportunity to listen to the same story in small groups, making the listening activity a social event. Reader’s theater. Select a passage with dialogue and print several copies of the PDF. Assign parts to students. They can practice their parts to build fluency and expression, but lines are not memorized in reader’s theater. Students then perform the selection for the class without use of costumes, blocking, props, or scenery. Presentations may be recorded so that students can listen to their own performance. Recordings can also be shared with other classes to extend the audience. Descriptive passages as an art prompt. It’s a little hard for students to draw a picture as they read from a printed page, but drawing is a great activity to use with an audio passage. Then discuss how different students interpreted different parts of the passage in their artwork.